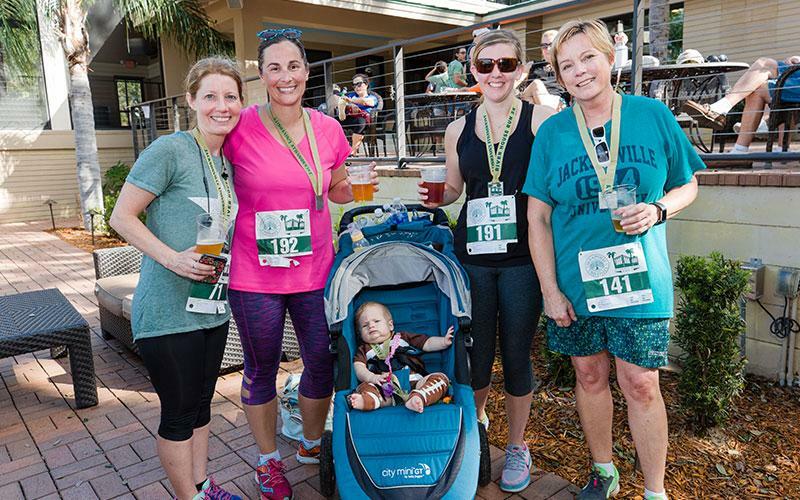 2018 JU River House Run/Walk 5K - in honor of Stephanie Bloom | Jacksonville University in Jacksonville, Fla.
Free 1K Fun Run for Kids at 9:30 a.m. 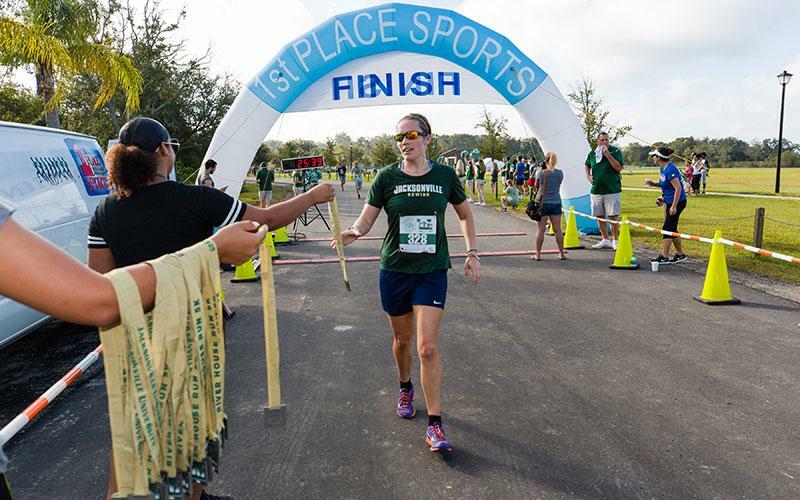 The 2018 JU River House Run/Walk 5K will be held in honor of Stephanie, an ode to her love of running and a celebration of her love for Jacksonville University and its students. To further honor her legacy and passion for Nursing Education, her family has created The Stephanie Bloom Memorial Scholarship Fund. There are plenty of opportunities for partnerships with the River House Run/Walk 5K. Learn more through the PDF below, or contact University Advancement for more information. 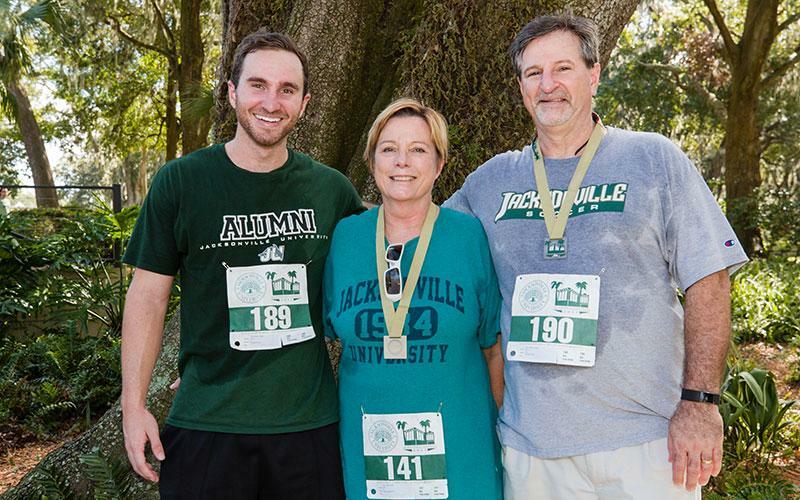 Help kick off JU Homecoming & Family Weekend! 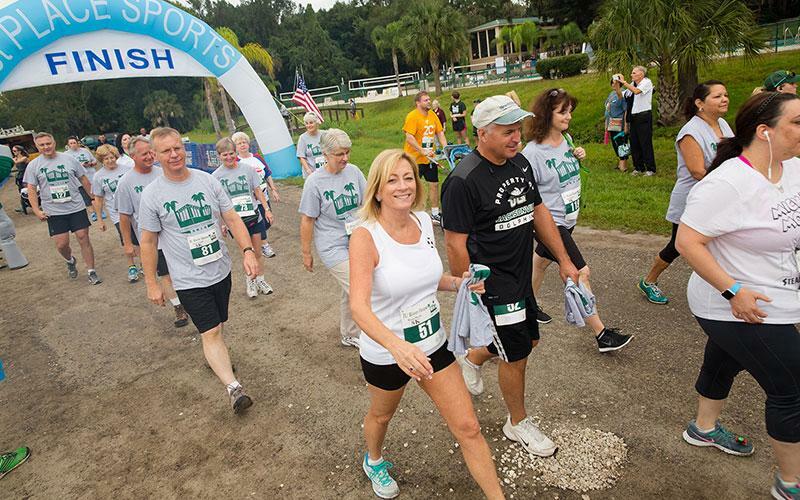 This will be a fun and high-energy 5k run/walk through the beautiful JU campus. 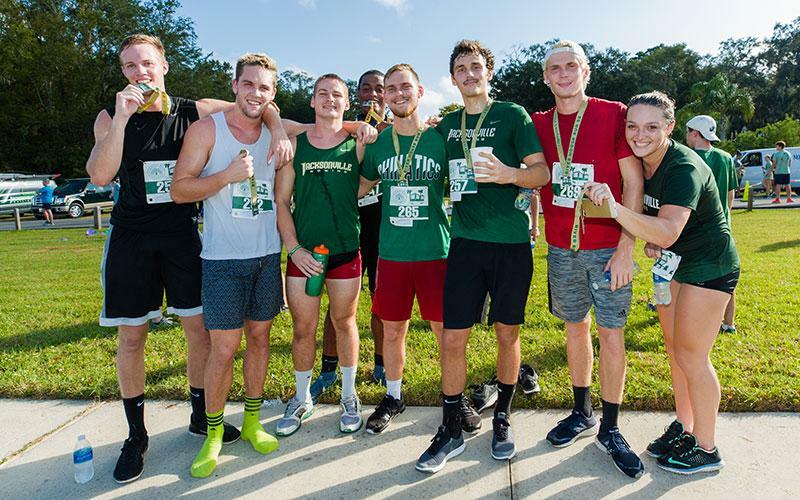 Runners will soak in views of the St. Johns, pass under the historic oak trees in the heart of campus and even complete a fast lap on the JU track, with JU athletes cheering you on! The downhill finish will lead you to the "River House Post-Race Party" which includes refreshments, beer, music, and awards. We have cash prizes for the top finishers, medals for all finishers, and JU pint glasses for age-group winners. The free 1K fun run starts near the start/finish of the 5K. The 1K course is a lap on the pedestrian path that travels around the “Dolphin Green” by the River. Children will receive a bib and a race clock will be on display by the start/finish (but children are not officially timed). There are no awards given out; this is a participation event. Parents must sign a waiver form for the child. Registration for the fun run begins after the 5K start (from 8:50-9:25AM). Registration is open now through 1st Place Sports. Friday, October 12, 11 a.m. – 6 p.m. These prices are available to current JU students and youth ages 18 and younger. JU students must show current JU ID at packet pickup. These prices are available to current JU employees. JU employees must show current JU ID at packet pickup. JU River House Run pint glasses! JU Water bottles for youth age group winners! All participants will receive a custom River House Run/Walk 5K Finisher's Medal! 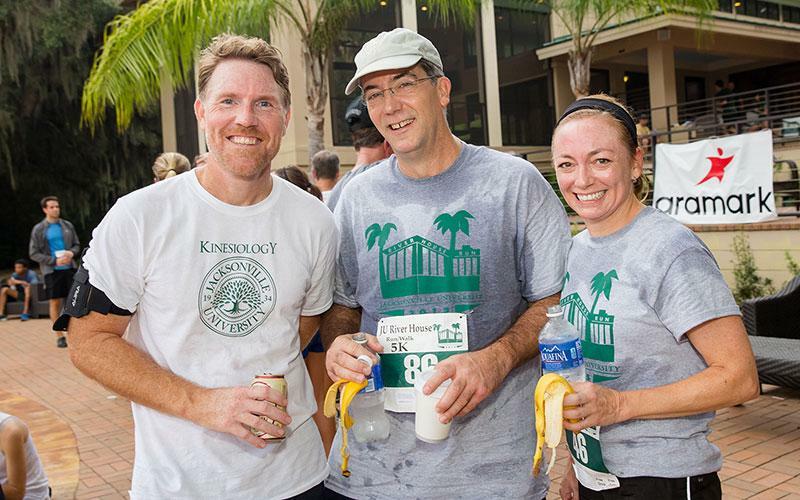 Packet pickup will be at JU in the Lobby of the Howard Administration Building on Friday, October 12, from 11 a.m. – 6 p.m. Parking is available in the lot directly in front of the Howard Administration Building. If you cannot make it on Friday, packet pickup will also be available the morning of the race, Saturday, October 13, from 6:30 – 8:00 a.m. at River House. View a map of the packet pickup location and parking. Participants receive a River House Run/Walk 5K T-shirt at packet pickup! Enter JU at the main entrance (University Blvd and Merrill Road). Signs and students will direct drivers to the large parking lot "down the hill" by the Dolphin Green. Parking is free. The race begins just down the road (by the River House). View a map of parking for the day of the race. The JU Baseball complex restrooms will be available for runners before and after the race. Download a map of the race route (PDF).